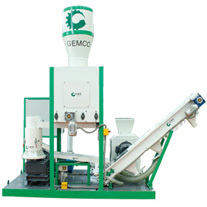 ZLSG400 series flat die fodder pellet machine is a simple feed pelletizing machine that is simpler than the ring mold fodder pellet machine. It is suitable for small farms or small feed processing plants. The device has a simple structure and convenient operation. High cost performance and low cost of purchase. 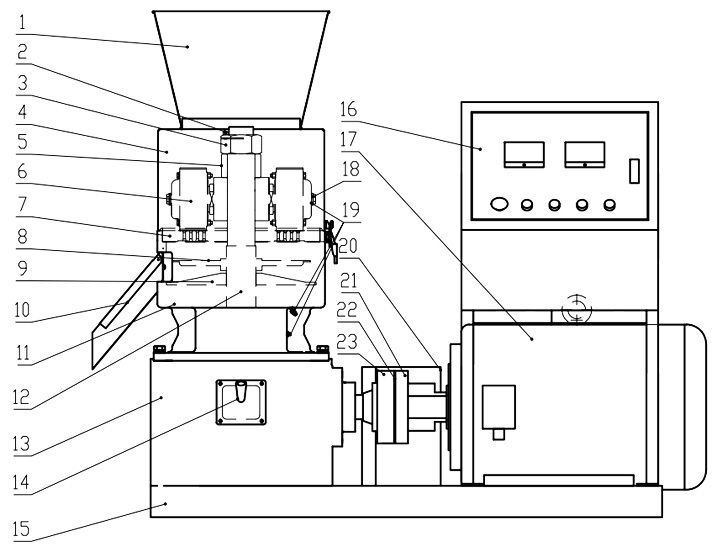 The pelletizing process is simple, and there is no need for complicated granulation steps such as cooling and crushing. 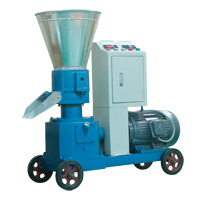 The ZLSG400 series flat die fodder pellet machine hole diameter is 3-8 mm, with adjustable size and length. The fodder pellet machine can produce straw powder feed pellets, pure grain feed pellets and mixed feed pellets with diameter of 2-10mm. 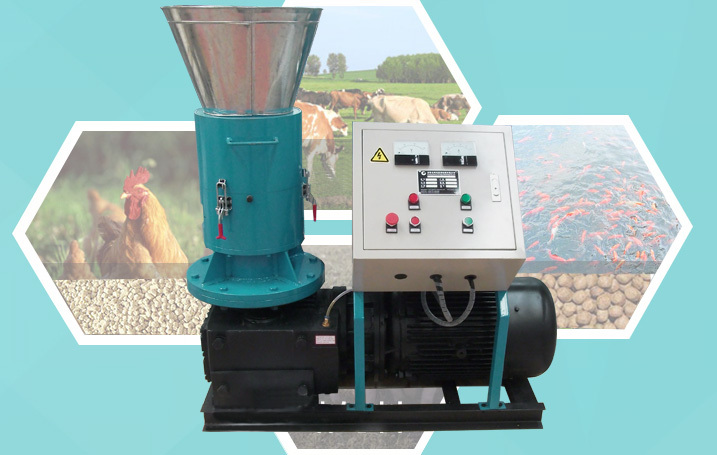 The output capacity depends on raw material you use, and the above data are based on animal feed production: 65 % of corm powder, 20 % of oilseed residues and 15% of rice bran and wheat bran (D-type fodder pellet machine). Electric motor can be customized according to customer’s requirements, including voltage and hertz. Please note that our mills operate in industrial power 380V/50Hz (China Standard), three phases. Make sure lubricating oil is added to gearbox and all bearings are properly lubricated before the initial operation. Check and make sure each rotating part is well lubricated. Lubricate the mill according to the following chart. Diesel engine: Please read and follow Diesel Engine Manual Instruction. PTO: Lubricate bearings and splines with lithium base grease. The pellet machine roller should be visually inspected prior to each start-up. Make sure there are no foreign materials affecting roller running. Service life of the roller is 300-500 hours under normal running condition. It is recommended to replace roller and die at the same time.